Identifying Special Needs provides expert guidance to recognising and categorising the specific characteristics of a range of special needs. 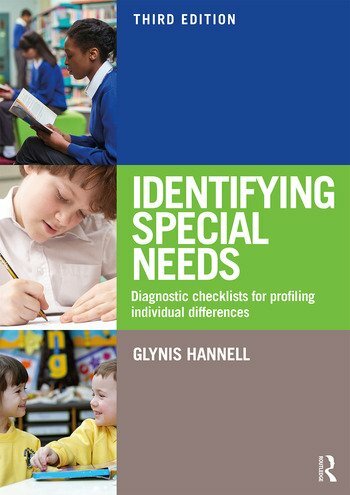 Drawing on her experience as an educational psychologist and special education teacher, Glynis Hannell provides easy-to-use checklists to help teachers quickly and accurately gather information to determine whether individual students need specialised attention and services, and guidelines on how to provide this help. This unique book offers diagnostic criteria and supporting notes for a wide range of special educational needs, including autism spectrum disorders, communication disorders, social and emotional issues, cognitive disabilities and specific learning disorders. Relevant to both primary and secondary school students, all checklists can be photocopied for ease of use and downloaded from the companion website. This fully revised third edition includes additional information on guiding conversations with parents, children and colleagues, as well as advice to parents on how to select outside professionals. link classroom observations to diagnostic criteria used by specialists. record each student’s unique pattern of development within a special needs ‘label’. follow up with recommended further reading, websites and professional references. Based on internationally accepted diagnostic criteria, and relevant for educational professionals worldwide, this is an essential book for teachers, psychologists and other specialists to ensure that the children and adolescents in their care receive the support they need to succeed. Glynis Hannell is an educational consultant and award-winning author. She has previously published with Routledge and David Fulton.